THE HOST opens on March 29, based on the book by Stephenie Meyer, author of THE TWILIGHT SAGA. 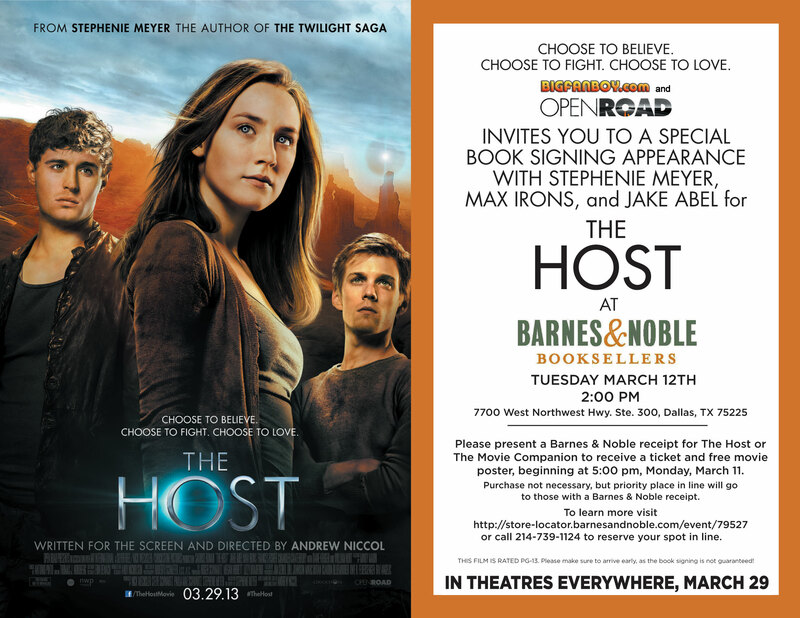 Bigfanboy.com and Open Road Films would like to invite Dallas fans to a special book signing for THE HOST Stephenie Meyer, and two of the film’s stars Jake Abel and Max Irons. This is part of a book signing tour to promote the new movie, and needless to say a rare opportunity to meet one of the hottest authors on the planet. Click on the flyer below for more info. The signing will be held on Tuesday, March 12th at 2:00 PM at the Lincoln Park Barnes & Noble. Buying a copy of the book and your cash register receipt will get you a spot in line. As with anything like this, it’s always recommended you show up early, as latecomers may potentially be turned away if the crowd gets out of hand. 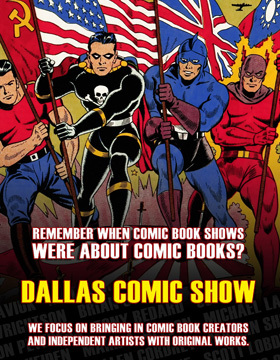 This should be very exciting for DFW fans, so don’t miss this moment of fandom fun! Please note: the flyer does not guarantee you entrance to the event, nor does it guarantee you a spot in line – it is here merely to give you the necessary info. 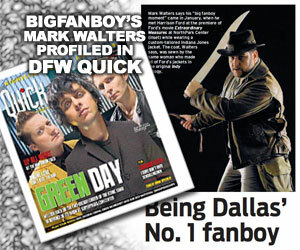 Bigfanboy.com makes no promises as to what will happen during the signing or how it will take place. If in doubt, contact the Barnes & Noble location directly for more information.